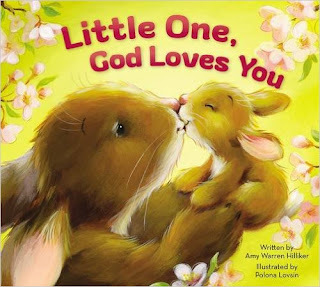 Little One, God Loves You by Amy Warren Hilliker is an adorably cute book! I love that every page in this book reminds little ones that God loves them. 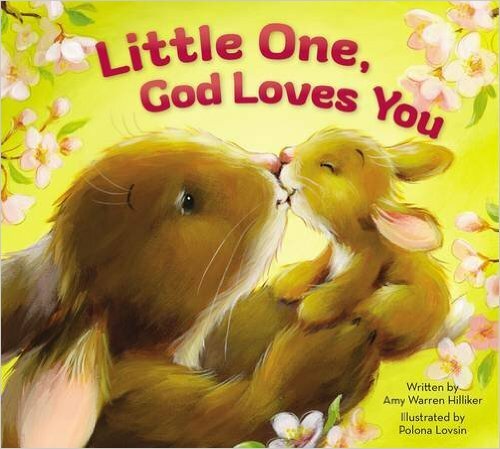 Little One, God Loves You is written in rhyme and the illustrations throughout the book are beautiful. My kids enjoy looking through this book before bed and have asked me to read it just about every night. I enjoy reading it to them because I think sending them to bed with the reminder that God loves them is the perfect way for them to drift to sleep. I highly recommend this book and think it would make a wonderful gift this Easter! by Amy Warren Hilliker on Amazon, Barnes and Noble and other bookstores.